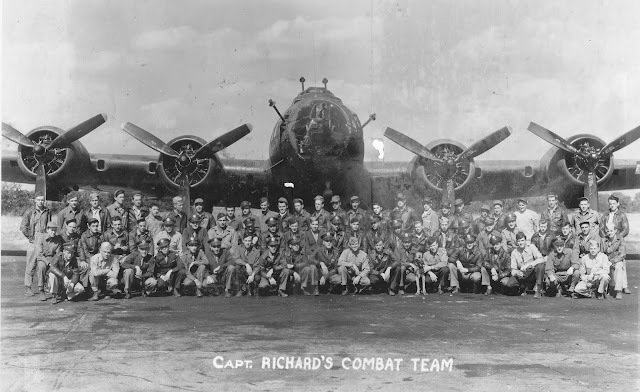 This photograph was for fake ID in case he was shot down and taken into the underground. 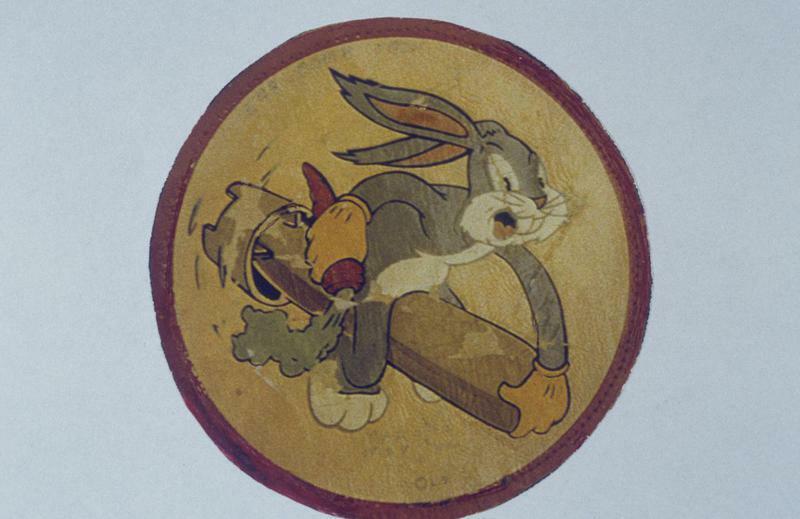 The insignia of the 548th Bomb Squadron, featuring Bugs Bunny! His friend suggested that after every mission, he write a brief summary. Even though Mr. Lopiano said he was too busy thinking about girls (he received a Dear John letter from his girlfriend) and didn't fancy himself a writer, he keep a record of all the missions! "The flak was the outstanding part of this mission. It was the most accurate we have encountered so far; as a matter of fact I was hit on the chin by some fragments. I was only grazed by it thank God. 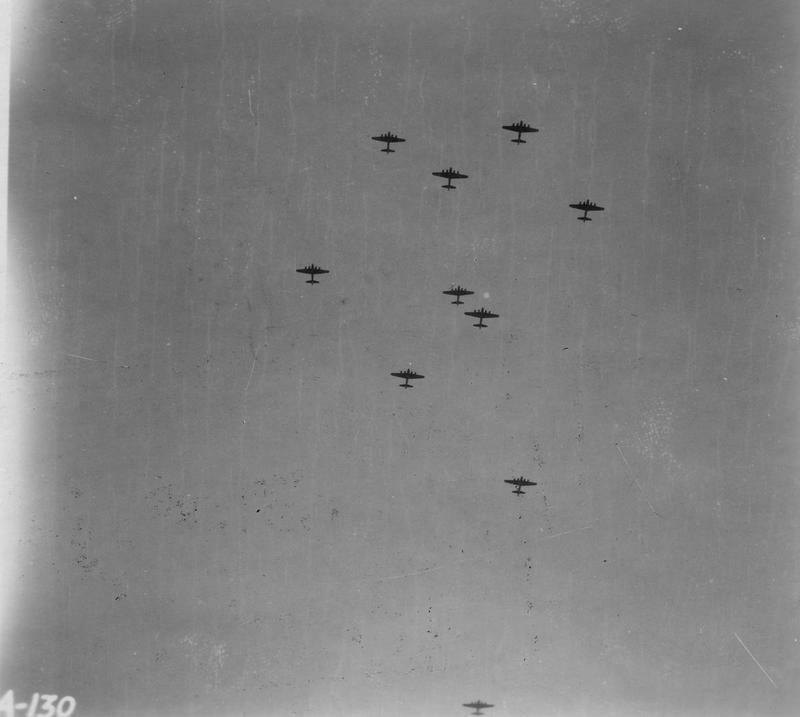 I looked out of my right side window and saw that the tail's horizontal stabilizer was shot away." "Finishing my 25th on Christmas Eve day is no doubt the best gift anyone could receive. The relief of tension, doubt, and sleepless nights over and done with." His short snorter dollar. Short snorter dollars were signed by flight crews and conveyed good luck to soldiers crossing the Atlantic. And the slugs began their wail. But we never get the fame. Then we'll make you a little bet. Who have left this station yet. It was such an honor to meet him! This is awesome, Emily! Really like the picture of y'all and Bugs Bunny!!!!! Was wanting to ask: do you still have your IG? Was looking for it, but couldn't find it! Thanks, Morgan! It was such an honor to meet him! Good for you for interviewing him! We must keep their stories preserved.